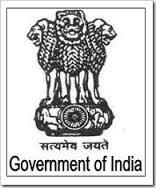 Shri B N Prasad, serving as Deputy Secretary – M/o Development of North Eastern Region (DONER), Vigyan Bhawan Annex, New Delhi, is now promoted as Director DONER as per order dated Nov. 10, 2014. He is responsible for NLCPR Projects for the states of Arunachal Pradesh, Nagaland and Meghalaya. IndianBureaucracy.com wishes you all the success in your new role.